Scribbling and drawing have their origins in the same parts of the brain that will later be used for writing. Even toddlers, who can barely hold a crayon or pencil, are eager to ‘write’ long before they acquire the skills that formally prepare them to read and write. Children who are encouraged to draw and scribble ‘stories’ at an early age will later learn to compose more easily, write more effectively, and with greater confidence that children who do not have this encouragement. Studies or very young children show that carefully formed scrawls have meaning to them and that this ‘writing’ actually helps them develop language skills. Very young children take the first steps toward writing by drawing and scribbling; others may attempt to write notes and stories, it is most helpful to focus on the intended meaning of what very young children write, rather than on the appearance of the writing. 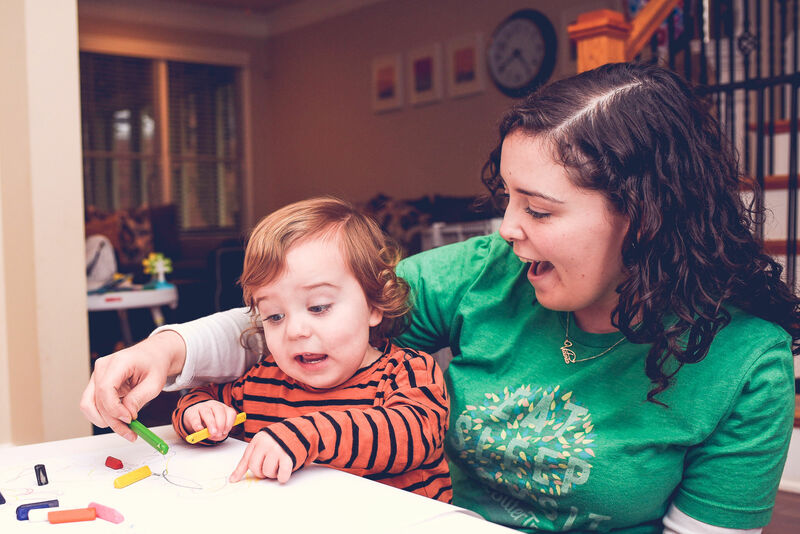 The toddler and preschool years provide parents with the opportunity to build a solid base upon which good writing skills will be developed in later years. Us this critical time in a child’s development by providing a print-rich environment: paper, crayons, large pencils, good modeling on your part (letting your child see you drawing and writing during everyday activities), and most of all, lots of encouragement and supportive responses.